My name was simply “Abram” when we lived in Haran. Our neighbors were pagan idolaters. God spoke to me and sent me from there on a journey that would change the course of all mankind. I went by faith, because God did not even tell me what the destination was. Abram, leave your country and your relatives and go to a land that I will show you. I will do as you say, Sir. Hey, uncle Abram, don’t forget me, your nephew Lot! Let me go with you. I may be of some help. You’re too old for a long trip alone ? seventy-five years! Our families and servants travel for many months and settle in Canaan. Uncle Abram, my herdsmen keep arguing with yours over who gets best land to graze their cows and sheep. What can we do? You choose the better territory. Go ahead. I just want to avoid strife. Okay! I choose the valley by the Jordan River! My nephew Lot chooses the most fertile land, but God blesses me because I trust in Him and call on His name. I like city life. I’ll move my family to the wealthy city of Sodom. Its people are a wee bit wicked, but the city offers ample pleasures. Soon thereafter, five kings form an army led by King Chedorlaomer, and capture the city of Sodom where Lot chose to live. They carry off a huge amount of valuable plunder, making the five kings very rich! Oh, who is this coming all tired out and limping? He tells me he’s a fugitive that escaped. He says Chedorlaomer captured Lot, his family and neighbors in Sodom, put them in chains and made them slaves. Lot, his wife and children are slaves! Slaves! Herdsmen and servants, arm yourselves! We’re going after those five kings to rescue Lot and his family. I’ve trained you to fight. The time has come. We are only three hundred and eighteen servants against a huge host, but we will fight by faith ? and a little bit of subtlety. We’ll divide our forces by night, and ambush them. To battle! My servants do as I said. We pursue the five kings northward beyond Damascus, a very long way. Look, men, they are fleeing. Thank God for victory! We rescue Lot and all the captives and seize back the plunder that those five kings had stolen from Sodom. Hurrah! On our way back, another king, Melchizedek, who is also a priest of the most high God, brings out bread and wine for my exhausted and hungry troops. He lays his hands on me and says, “Blessed be Abram of God Most High who possesses heaven and earth; and blessed be the Most High who has delivered your enemies into your hand.” Praise the Most High! Praise the Most High! Praise the Most High! King of Sodom, take back all the plunder that’s yours. I’ll keep only what my men have eaten. I trusted God to win the battle, so I can take no credit, and I do not covet what belongs to you. In God we trust. In God we trust. In God we trust. Abram, I have promised to multiply your descendants into a great nation, and to bless all nations through a descendant. But Lord, how can all this be? My wife Sarah and I have grown too old to have children. Lord, let my steward Eliezer be my heir, for he was born in my house. No, Abram, one who will come from your own body shall be your heir. 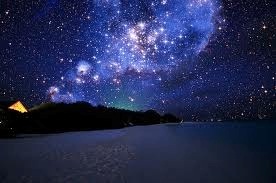 Now look toward the heavens, and count the stars, if you are able to count them. They are far too many to count, Sir. So shall your descendants be. I believe You, Lord! I believe You! I count your faith as righteousness. I also change your name to Abraham, Father of Many Nations. That is not the end of my story. All the rest of the Bible, every word, is the record of God fulfilling His promises to me. Why did God count Abraham as a righteous man? Describe the cause and effect between having faith and doing good works. Which led to which in Abraham’s case? What other things, besides rescuing Lot, did Abraham do that showed great faith? Abraham left his land to obey God, journeying to where he did not know. Abraham interceded with the Lord for Lot and his family when God was about to rain fire down on Sodom. The book of Hebrews says Melchizedek was a type of Christ. What was the similarity? Melchizedek did not become a high priest because of his ancestry, as the all Levitical priests did. Melchizedek was a priest by God’s will.